When you are charged with a crime or are under criminal investigation, you expose yourself to serious legal consequences, including prison sentences, deportation or removal as well as the long term social stigma of having a criminal record. If you find yourself in this situation, you need a criminal defense lawyer who will aggressively defend your rights and has a track record of winning cases. For 30 years, Mr. Papirmeister has both prosecuted and defended thousands of individuals charged with all types of misdemeanor and felony offenses. He has successfully defended many high profile clients, including doctors, lawyers, psychologists, police officers, school teachers, musicians, and accountants. In addition, he has provided representation to federal and state law enforcement personnel and members of the Fraternal Order of Police. Mr. Papirmeister has also been involved in numerous high profile cases where the defendant was either acquitted or received a reduced sentence. Earlier in his career as prosecutor in the homicide division with the Prince George's County State Attorney's Office in Maryland, Mr. Papirmeister became known as the “Minute Man” for his ability to convince juries to convict criminal defendants in minutes. 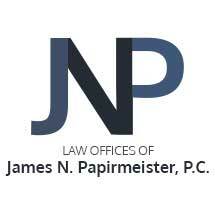 Now in his own private law firm, "The Law Offices of James N. Papirmeister", criminal defense is all Mr. Papirmeister does. He is committed to providing each and every client the highest quality representation and the personal attention that they deserve. He has offices in Silver Spring and Suitland, Maryland. He provides representation to individuals charged with all types of felony and misdemeanor offenses, probation violations and also handles sentencings, post convictions and other post-trial proceedings and appeals. Mr. Papirmeister also advises and counsels individuals under criminal investigation in the State and Federal Courts throughout Maryland and the District of Columbia.